Editor’s note: Do you know of a holiday cause at Emory? Please send details to emory.report@emory.edu. The Emory Police Department will partner with the DeKalb Fraternal Order of Police to hold their annual Shopping with Santa Cop event for underprivileged children. The police department is asking for monetary donations that will go to the children to purchase items for themselves and family members while assisted by an officer. Donations can be made by Dec. 10 via a link on their website, or checks can be mailed directly to the DeKalb FOP lodge. Emory Saint Joseph Hospital is holding a coat and blanket drive for Mercy Care Services. Coats will be accepted through Dec. 11 in collection boxes placed at hospital entrances. The hospital is also hosting its Christmas Giving Festival, a tradition for more than 20 years. In 2013, employees donated toys and gifts valued at more than $30,000; this year, they have adopted 50 families. The Christmas Giving Festival ends Dec. 19, when employees deliver their wrapped gifts to the hospital. Woodruff Health Sciences Center is collecting donations of kitchenware for the American Cancer Society Hope Lodge. The Hope Lodge provides a home away from home for cancer patients and their families who have to travel for treatment. To aid the comfort of guests at the lodge, WHSCAB requests much needed supplies including new coffee mugs, flatware, dishwasher detergent, coffee, tea and hot chocolate. Please bring donations to WHSCAB 405 by Dec. 12. This year the Miller Ward Alumni House will collect toys for Malachi’s House. 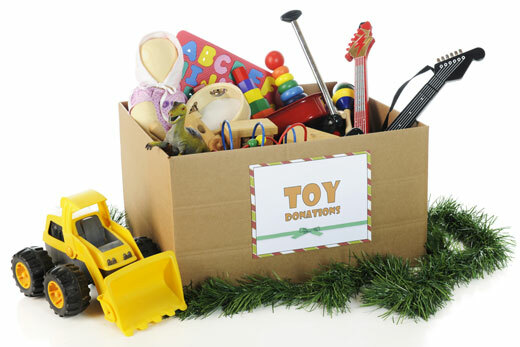 Please bring toys to the Miller-Ward lobby by Dec. 18. Project Open Hand and the Emory Vaccine Center are requesting donations of nutritional food items for The Ponce Clinic, which serves individuals and families affected by HIV/AIDS in metro Atlanta. Donation containers with lists of requested items are located in the EVC at 954 Gatewood Road. If you are unsure of what to donate, you may also donate cash or check, which should be given to Jane Lawson. All donations are due by Dec. 19. The School of Medicine Urban Health Initiative is collecting rolling suitcases for Atlanta homeless women and children. Bags in good condition can be dropped off at the 1599 Building or 49 Jesse Hill Jr. Dr. SE near the Grady Emergency Department. The Emory University Bookstore is holding a children’s book drive for Egleston Children’s Hospital. New children’s books can be donated through December on the first floor of the bookstore. The purchase of a book for donation in the store is eligible for a 10 percent discount. The Volunteer Oxford Coordinators will host a joyful event of gift-wrapping, toy building, card writing, and holiday festivities. "Reading Day," held on Dec. 10 from 10 a.m.-2 p.m., encourages students to take a break from studying for exams and assist in bringing a smile to a local child’s face instead. Students are welcome to gather in the Oxford College Student Center to wrap gifts, put bikes and toys together and write encouraging cards to the children. Once all the items are wrapped, the gifts are delivered to teachers for distribution to the children. Volunteer Oxford is coordinating the collection of donated books from faculty, staff and students throughout the last two weeks of the semester. Donation boxes for the books will be located in the Student Center, Lil’s, and residence hall lobbies through Dec. 17. All of the collected books are donated to Better World Books, a nonprofit organization that collects and sells books online to donate fund literacy initiatives worldwide.